Morgan lost 26 zip to Albany this afternoon. That makes us 0-2 against CAA schools this year. We also have failed to put any points on the scoreboard. We had better tighten up that offense because otherwise, we could be in for a rather long season for our Bears this year. By the way, the new scoreboard is cool but it still seems that we were shortchanged in the actual size of the of the graphic board. Why do we always seem to get the short-end of the stick in the State of Maryland? I not complaining because any board would've been an improvement from what was there in previous years. In my reality, the scoreboard isn't that large, or maybe I am thinking or dreaming too large. 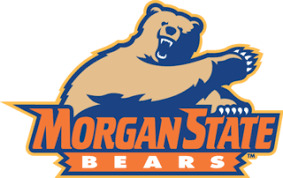 We are Morgan State University, not Calvert Hall College. As usual, the band, The Magnificent Marching Machine, took care of business throughout the game and of course at halftime. Bears, We Are The Bears, Yes, The Bears, We're Gonna Win, Yes, Because We Are The Mighty, Mighty, Morgan Bears!